We stock outdoor stages for all sizes of event. 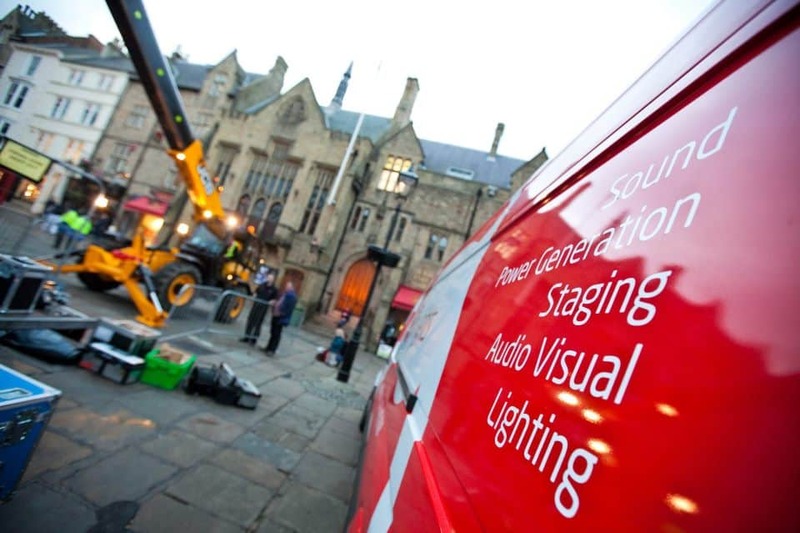 A wide selection of lighting, sound and AV equipment. Generators and power distribution on any scale. No matter how big or small your event, we can look after you. Including snow, smoke, haze and pyrotechnics. Did you know that we offer a free recycling service for your old glass tubes, lamps and bulbs? As part of our drive towards improving Corporate Social Responsibility we’re able to take glass waste from any trade or individuals, simply come to us and drop off your old glass in our Recolight recycling store. If you can’t come to us then we can collect for a small charge. Click the logo to the right to find out more. We are distributors and dealers for many of the biggest manufacturers and suppliers. We can usually offer better prices than many online suppliers. Give us a call and we will do our very best to beat any genuine quote. From a light bulb to an Enchanted Park, from a single microphone to PA for 10,000 people, from a piece of deck to a full festival stage. We work on any scale.